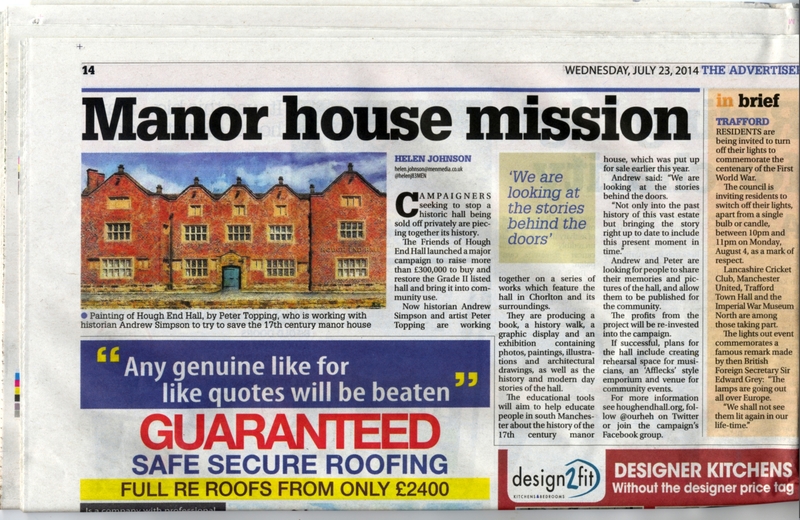 In case you haven’t seen it yet, here is the latest coverage of the campaign in the South Manchester Advertiser. It focuses on the history project about the hall and also gives some basic information about what we are doing. Thanks again to Helen Johnson for the coverage. This entry was posted in History, News and tagged Advertiser, Andrew Simpson, Helen Johnson, history by houghendhall. Bookmark the permalink.